One of the more interesting things about the smaller racing categories is seeing the diverse and unique equipment that shows up. John Elgart of California is no stranger to those races, having won the Masters 65-69 race in Bend in 2010 and finished second in his current Masters 70-74 category in 2016. 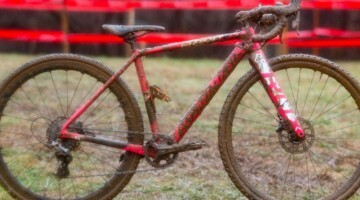 This year, Elgart won the Masters 70-74 race aboard a very unique custom-painted A bike. The frame features a distinctive dragon motif, with a scale pattern running down the main tubes and a copper accent on the head tube and seat cluster. 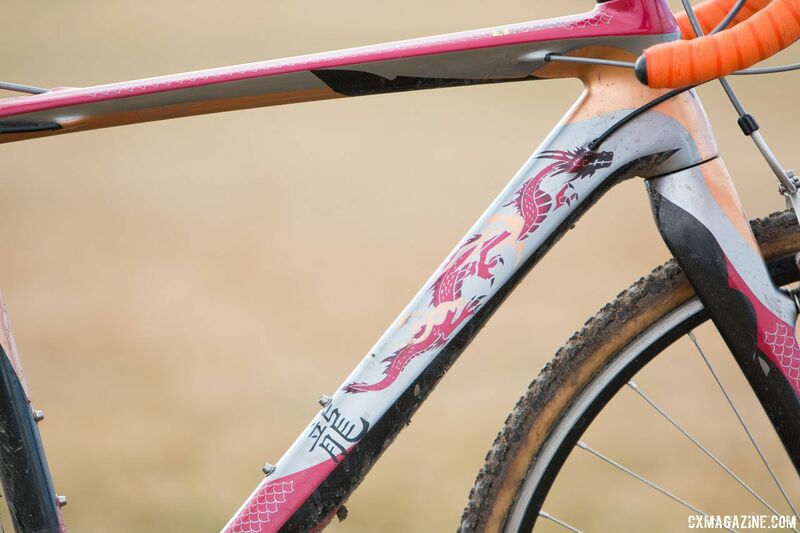 A stylized dragon features prominently on the down tube. The rest of Elgart’s setup is equally unique. 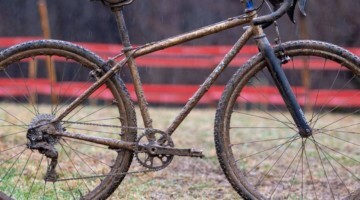 He is running a Shimano 1×10 transmission paired to a SRAM Red BB30 crankset and a Wolf Tooth narrow-wide chainring. 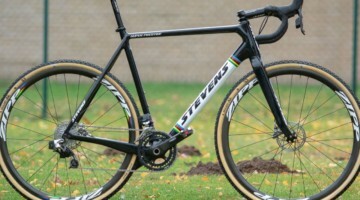 Interestingly, despite the use of a 1x drivetrain, the bike has both a second chainring and a Dura-Ace FD-R7900 front derailleur, which is attached to the front ST-R7800 shifter. 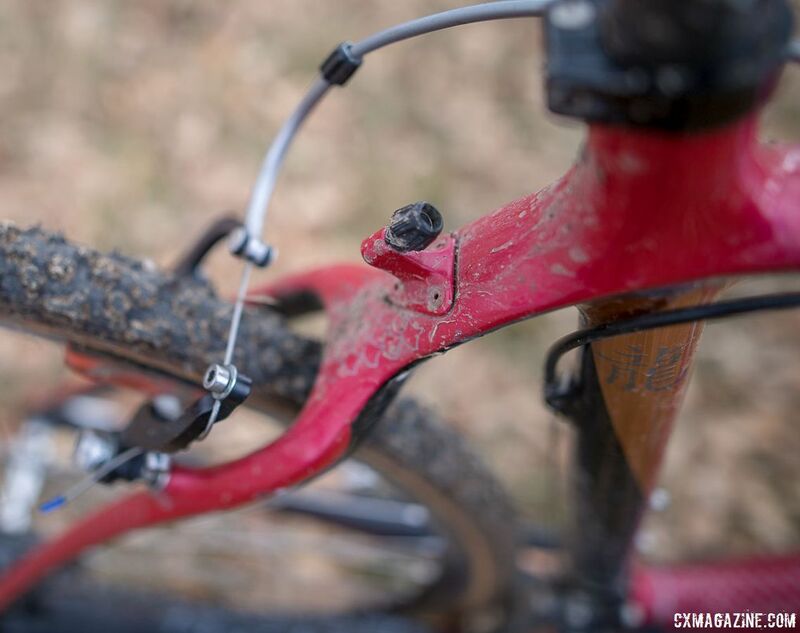 Elgart explained that the shifter is set up with trim but is incapable of shifting to the smaller ring, and both function only as redundant chain catchers to ensure the Shimano chain stays in place over rough terrain. The rear shifting is more conventional, with a Shimano Dura-Ace RD-R7800-GS short cage derailleur paired to a Dura-Ace ST-R7800 rear shifter. 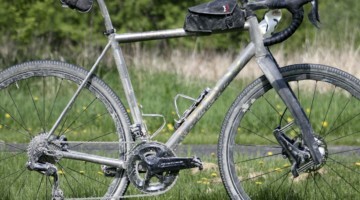 A SRAM 11-30 cassette is mounted on 32 hole alloy tubular wheels. Stopping is a rim brake affair, featuring Paul Mini Moto linear pull brakes with Jagwire V-Brake pads. Challenge Limus tires were glued on for Reno, which was the deciding factor for starting on this unique bike. 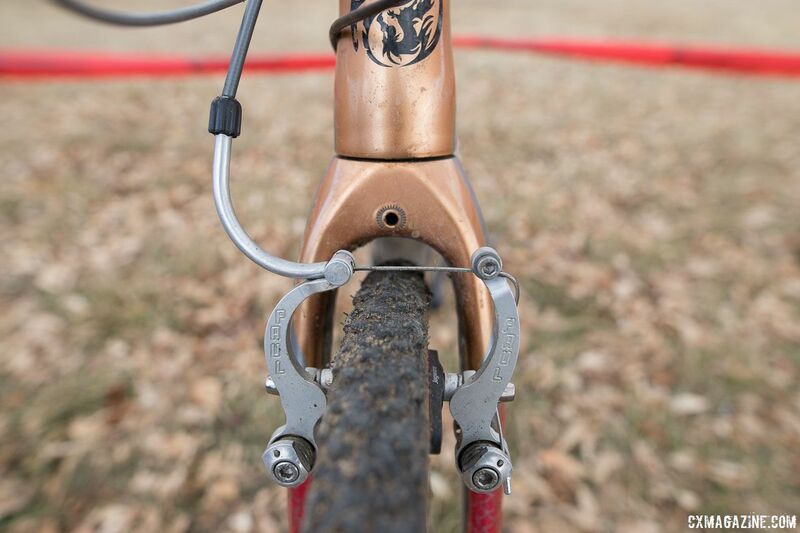 Elgart also brought a Redline disc brake bike with tubeless tires, but found his rim brake bike with tubulars to work better for the course. 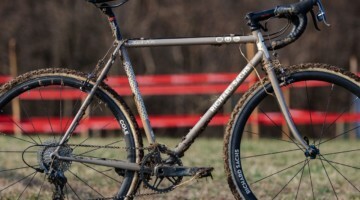 “This has tubulars on it. 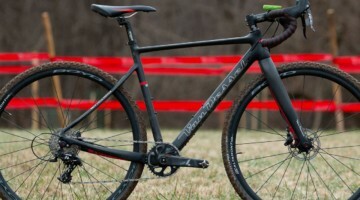 The [redline] is tubeless, this one had better traction going up the hill, and this one is lighter.” Elgart said. 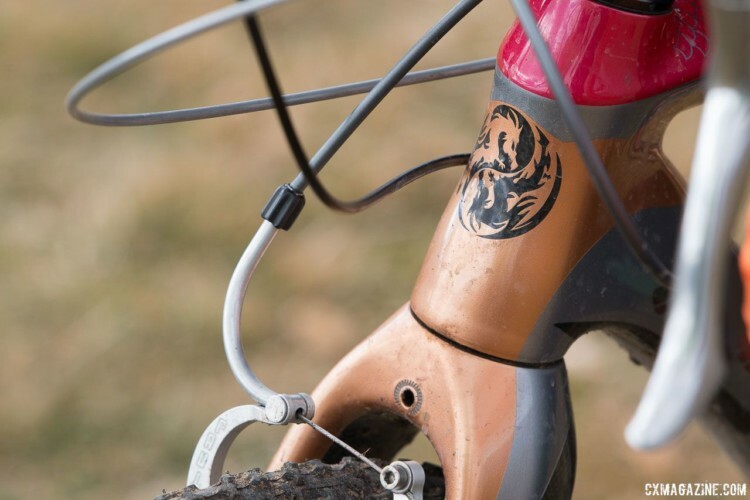 Elgart’s contact points are a mix of brands, with an FSA Wing alloy handlebar wrapped in orange Lizard Skins tape, Ritchey WCS carbon seatpost and, interestingly, a Terry Fly Ti saddle; the men’s version of the popular Terry Butterfly women’s saddle. 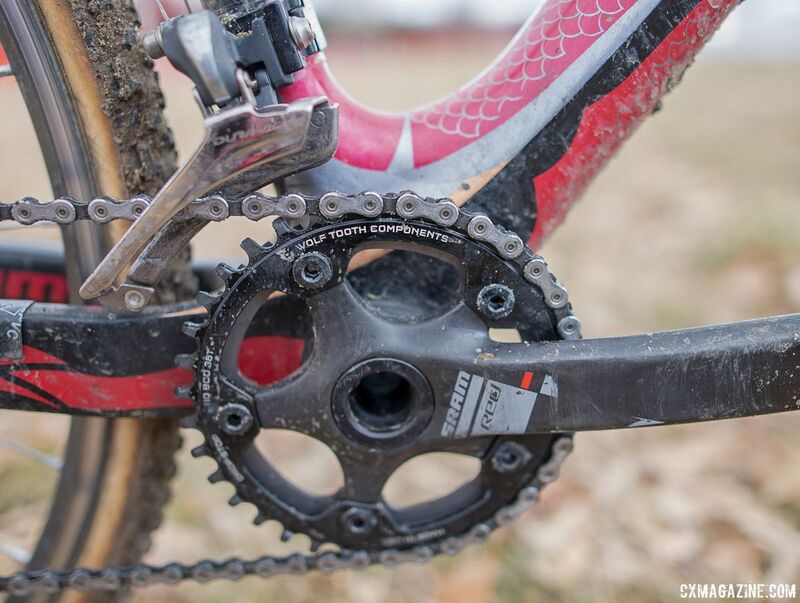 Power is applied with Crank Brothers Candy pedals. 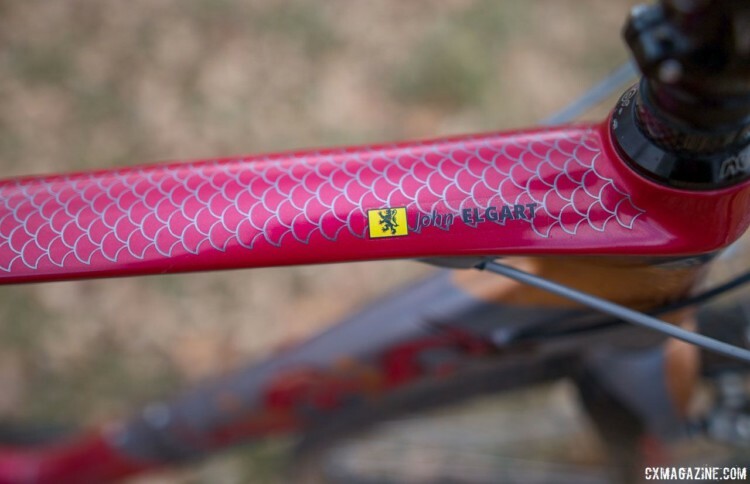 See the photo gallery below for a full look at Elgart’s bike. 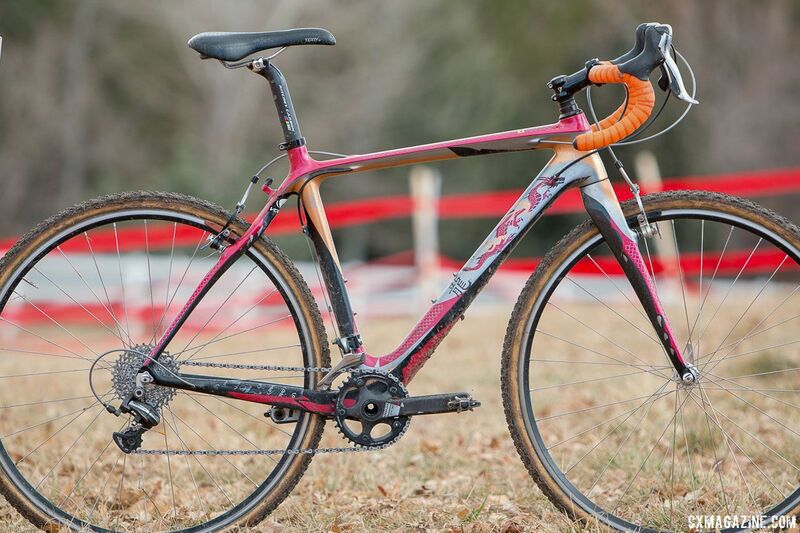 For more from Reno, see our dedicated 2018 Reno Cylocross Nationals page.